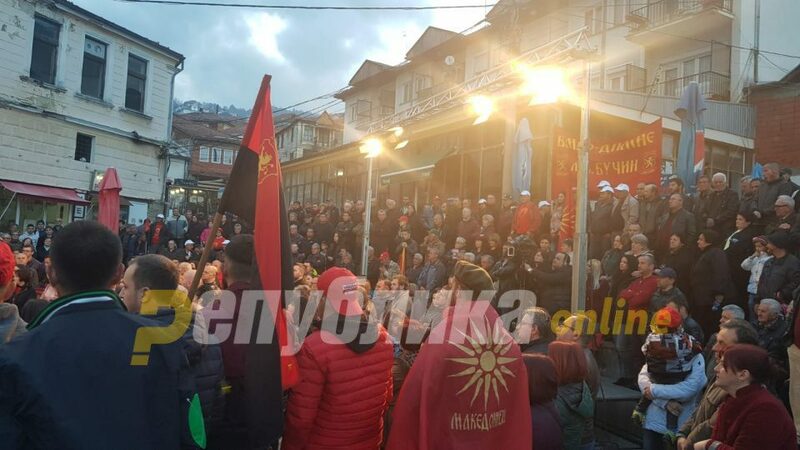 Presidential candidate Gordana Siljanovska Davkova addressed the citizens of Prilep at a rally on Friday. She told them the reason she was running for president was the desire to try to change something in this country. It is a major challenge to try to change something. Not for me, not for the parties that supported me, but for the citizens. When law and justice do not exist in reality, the Constitution and the laws are plain decors. Let’s all be equal before them, no selective justice, no rule of a group of oligarchs who use the Prespa agreement and the agreement with Bulgaria to increase their wealth. Every day we see clientelism, corrupt politicians, scandals …, said Siljanovska.